Afghanistan Population (1998): 24,792,000. Religious affiliation (1990): Sunni Muslim 84%; Shi‘a Muslim 15%; other 1%. Azerbaijan Population (1998): 7,650,000. / Religious affiliation (1991): Shi’i Muslim 70%; Sunni Muslim 30%. Bahrain Population (1998): 633,000. / Religious affiliation (1991): Muslim 81.8%, of which Shi’i 61.3%, Sunni 20.5%; Christian 8.5%; other 9.7%. India Population (1998): 984,004,000. / Religious affiliation (1995): Hindu 81.3%; Muslim 12.0%, of which Sunni 9.0%, Shi’i 3.0%; Christian 2.3%, of which Protestant 1.1%, Roman Catholic 1.0%; Sikh 1.9%; Buddhist 0.8%; Jain 0.4%; Zoroastrian 0.01%; other 1.3%. Iran Population (1998): 61,531,000 / Religious affiliation (1995): Muslim 99.0%; (Shi’i 93.4%, Sunni 5.6%); Christian 0.3%; Zoroastrian 0.05%; Jewish 0.05%. Iraq Population (1998): 21,722,000. / Religious affiliation (1994): Shi’i Muslim 62.5%; Sunni Muslim 34.5%; Christian (primarily Chaldean rite and Syrian rite Roman Catholic and Nestorian) 2.7%; other (primarily Yazidi syncretist) 0.3%. Jordan Population (1998): 4,682,000. /Religious affiliation (1995): Sunni Muslim 96.5%; Christian 3.5%. Kuwait Population (1998): 1,866,000. / Religious affiliation (1995): Muslim 85%, of which Sunni 45%, Shi’a 30%; other Muslim 10%; other (mostly Christian and Hindu) 15.0%. Lebanon Population (1998): 3,506,000. / Religious affiliation (1995): Muslim 55.3%, of which Shi’i 34.0%, Sunni 21.3%; Christian 37.6%, of which Catholic 25.1% (Maronite 19.0%, Greek Catholic or Malachite 4.6%), Orthodox 11.7% (Greek Orthodox 6.0%, Armenian Apostolic 5.2%), Protestant 0.5%; Druze 7.1%. Oman Population (1998): 2,364,000. / Religious affiliation (1993): Muslim 87.7%, of which Ibadiyah Muslim c. 75% (principal minorities are Sunni Muslim and Shi’i Muslim); Hindu 7.4%; Christian 3.9%; Buddhist 0.5%; other 0.5%. Pakistan Population (1998): 141,900,000./ Religious affiliation (1993): Muslim 95.0%3 (mostly Sunni, with Shi’i comprising about 20% of total population); Christian 2.0%; Hindu 1.8%; others (including Ahmadiyah) 1.2%. Saudi Arabia Population (1998): 20,786,000./ Religious affiliation (1992): Sunni Muslims 93.3%, Shi’i Muslims 3.3%. Syria Population (1998): 15,335,000. / Religious affiliation (1992): Muslim 86.0%, of which Sunni 74.0%, ‘Alawite (Shi’i) 12.0%; Christian 8.9%; Druze 3.0%; other 1.0%. Tajikistan Population (1997): 6,112,000. / Religious affiliation (1995): Sunni Muslim 80.0%; Shi’i Muslim 5.0%; Russian Orthodox 1.5%; Jewish 0.1%; other (mostly nonreligious) 13.4%. Turkey Population (1998): 64,567,000. / Religious affiliation (1994): Sunni Muslim c. 80.0%; Shi’i Muslim c. 19.8%, of which ‘Alawi c. 14.0%; Christian c. 0.2%. United Arab Emirates Population (1998): 2,744,000. / Religious affiliation (1995): Muslim 96.0% (Sunni 80.0%, Shi’i 16.0%); other (mostly Christian and Hindu) 4.0%. Yemen Population (2000): 18,260,000. / Religious affiliation (1995): Muslim 99.9% (Sunni c. 60.0%, Shi’i c. 40.0%); other 0.1%. The Shi‘a population in some countries is disputed. 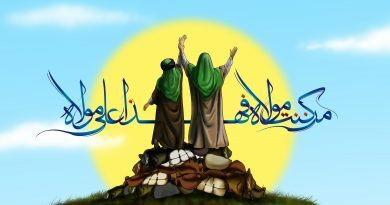 Some believe that the population of the Shi‘a is much higher than official figures, because of either a lack of accurate statistics or political issues. ← What God wants us to do?